Dr. Speak has practiced in the Johnson County area for the past 23 years and expanded her office to it’s current location in April 2008. 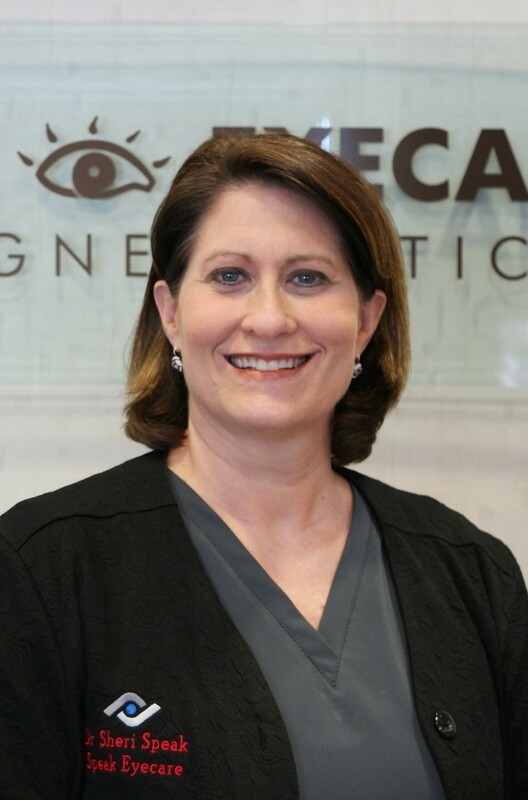 Upon graduation from the University of Missouri-Columbia, she attended the University of Missouri-St. Louis School of Optometry where she graduated with honors in 1994. In 1996, Dr. Speak had laser vision correction and has a special interest in refractive surgery and contact lenses. She works with the leading ophthalmologists in the area to co-manage refractive, corneal, cataract and glaucoma surgeries. Dr. Speak is a member of the American Optometric Association and the Kansas Optometric Association. She enjoys traveling, music, fitness and scuba diving. She resides in Leawood, Kansas.